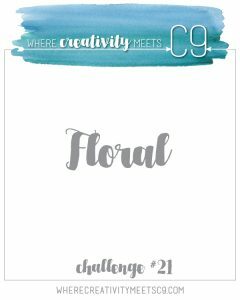 Here is my card for this month's Where Creativity Meets C9 challenge The theme this time is FLORAL. I am so inspired each time I use the Wreath Turnabout stamp set - so I started there. I used the Wreath Turnabout stamp to make the background leaves of my project. 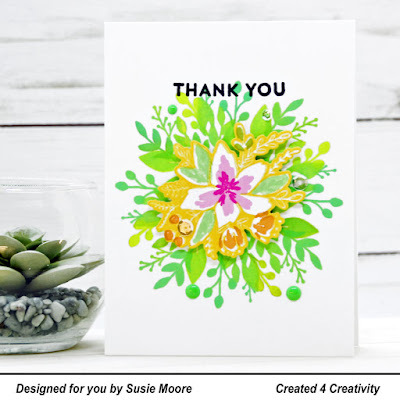 I stamped with an ombre ink pad which is how I achieved the color variation throughout the leaves. 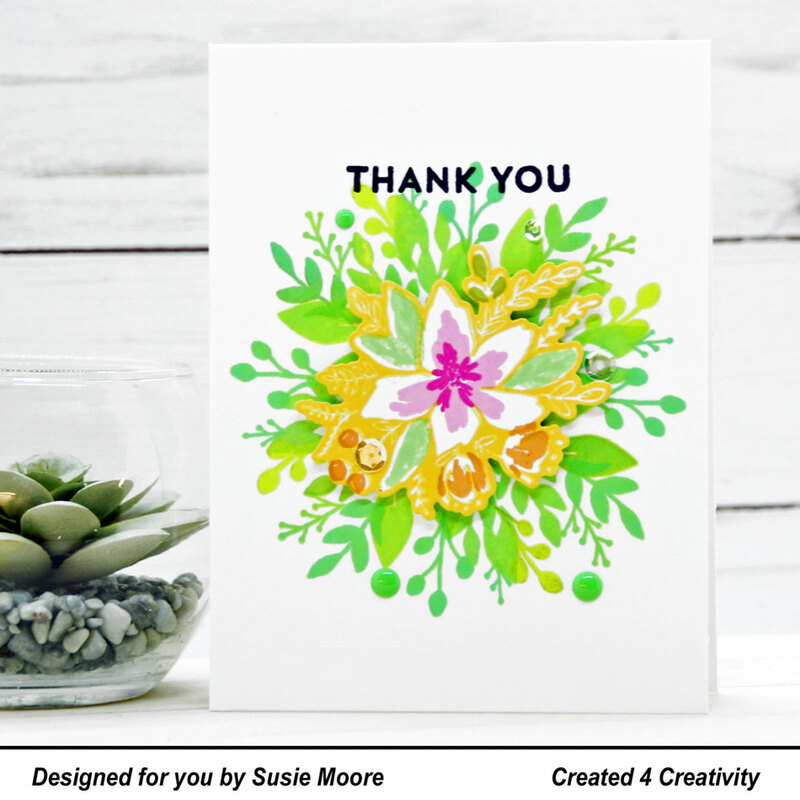 Then I added a stamped and die cut floral image from the Blooms Fill In Bundle. I popped it up for dimension and then added enamel dots and sequins. You can purchase all these items (and so much more!) at Concord and 9th. I (impatiently) look forward to each new release as I build my C9 collection!